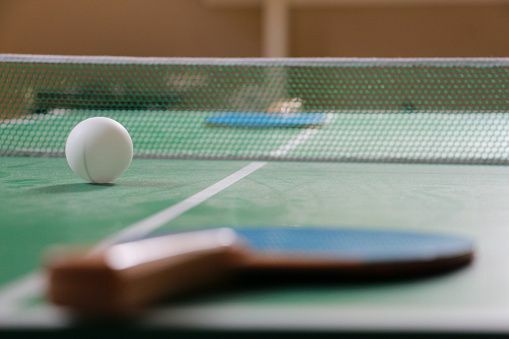 The Indian sports ministry has finally approved the participation of the Indian table tennis team in the upcoming World Championships which will be held in Budapest from April 21 onwards. The ministry has also cleared the team's national camp which is scheduled to take place in Denmark from April 9. The cloud of mist surrounding the participation of the Indian table tennis team at the upcoming World Championships in Budapest finally seems to have been cleared. On Tuesday, the sports ministry cleared the impending trip of India’s eight-member contingent for the World Championships that is to be held in Budapest from April 21 onwards. The Indian sporting authorities have sanctioned the funds for the tournament, which will carry important ranking points for next year’s 2020 Tokyo Olympics qualifiers. In addition to that, they have also given a green light for the team's national camp to be held in Denmark from April 9 to 19. Earlier, reports in TOI had claimed that India's participation in the event was still not clear as the Table Tennis Federation of India (TTFI) was still awaiting permission for the Indian government's clearance. The Indian body was worried that a lengthy delay in clearance could affect the processing of the players' visa applications. Another important development was the Indian government’s decision to exclude India's top paddler Harmeet Desai from the contingent leaving the TTFI absolutely stunned. The ministry has asked the Indian body to include the name of Anthony Amalraj. The ministry insisted on Amalraj's inclusion citing the rulebook. The Indian team for the World Championships will comprise of Achanta Sharath Kamal, Manav Thakkar, G Sathiyan and Amalraj in the men's section and Manika Batra, Archana Kamath and Madhurika Patkar in the women's category. "We will soon issue a circular to all the players informing them that competing in domestic tournaments is a must. The ministry won't allow your participation in major international events if you don't have enough ranking points at the national level. "The players have been skipping domestic tournaments and that's why they don't have enough points. But that will now change. There are 50-odd points to win in domestic tournaments - which include the national, five zonal and one inter-institutional championship," TTFI secretary general M P Singh told TOI.